‘The Merry Widow’ operetta was performed at the Cairo Opera House’s stage last month. Ratiba El-Hefny recalls when she was the first to sing the title role in Egypt, way back in 1961. Published in Al Ahram Weekly and Ahram Online. 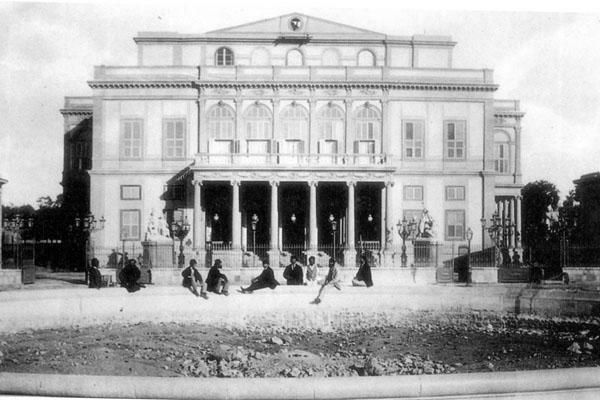 From 1961, when this operetta was performed for the first time in Arabic on the stage of the Khedivial Opera House (the Old Opera House in Cairo), through its adaptation in 1994, and to its current performance, interest in this operetta has not waned. Such interest not only goes to show the musical and dramatic potential of the work, but also reflects nostalgia for the country’s cultural past. Over half a century after its premiere in Egypt, The Merry Widow was staged, once again, at the Main Hall of the Cairo Opera House. Between 20 and 25 March, it was performed by soloists from the Cairo Opera Company, the Cairo Opera Orchestra conducted by Hisham Gabr, the Cairo Opera Choir with Aldo Magnato as choir master, and the Cairo Opera Ballet Company. The work is characterised by beautiful music and an engaging plot — typical of the spirit of operetta — in which listeners are placed at the heart of both farce and romance. As the viewer is treated to a happy ending, the soloists, the orchestra and the director find a multitude of opportunities to create a memorable evening. Not only is The Merry Widow a frequently returning treat around the globe, over a dozen film adaptations have been done of it as well, including — intriguing as this may sound — a silent version. In Egypt, the first production of The Merry Widow was its adaptation into a 1956 movie starring, among other important Egyptian actors, Hassan Fayeq and Zeinat Sedki. But looking at the history of the operetta in Egypt, one cannot think of a better person to ask than Ratiba El-Hefny, the Egyptian soprano who, in 1961, was the first to sing the title role of Hanna Glawari, in Arabic, based on Abdel Rahman El-Khamissi’s translation of the libretto. Born in 1931, El-Hefny’s versatile artistic life never undermined her dedication to Arabic music, which in turn did not prevent her from logging many achievements in the classical music scene. Surrounded by a musical family, she studied at the Faculty of Music Education in Cairo and learned to play piano, qanoun and oud. El-Hefny says she reached the level of concert pianist, but she was more interested in singing and in Arabic music. In the early 1950s, she was assigned the position of rector at the Institute of Arabic Music during the process of its establishment; she became dean of the same institute once it became the Higher Institute of Arabic Music in 1962. In the 1960s, El-Hefny established the first choir for children in Egypt and later the Cairo Opera Children’s Choir and Um Koulthum Ensemble for Arabic Music. She also founded the National Arab Music Ensemble. El-Hefny continued her education in Germany, studying operatic singing in Munich and folkloric arts in Berlin. At a time when the arts flourished in Egypt and the young were receiving the best possible education in their respective specialisations, El-Hefny was the first Egyptian opera singer to receive a diploma from an international music institution. For over two decades, El-Hefny has been supervising a music radio programme and several TV programmes introducing the audience to Arabic music, including a series of educational programmes for children. She was the first chairperson of the new Cairo Opera House when it began its activities in 1988, a position that she held for before Tarek Ali Hassan. She still holds the presidency of the Arab Society for Music, an adjunct organisation to the Arab League. El-Hefny is one of those rare artists who master both Arabic and Western music with equal skill. Her accomplishments in Arabic music deserve proper presentation, but let us look into her commitment to the classical canon — in which arena The Merry Widow performed at the Khedivial Opera House in 1961 was the first stepping stone. “The Merry Widow was the first operatic work translated to Arabic and performed as such. Tharwat Okasha, then minister of culture, was the main dynamo behind the realisation of this project,” El-Hefny recalls. Okasha decided to promote The Merry Widow widely, aiming to bring new social strata to the Opera House. Not only the fact that it was being performed in Arabic but also the six-piaster ticket price opened the door to the lower middle and even the working class. “I remember one day, together with Amina Rizk, I went to the vegetable market. One seller stopped us to ask about upcoming roles we had planned. I thought he was talking to Amina Rizk, as everyone was following her work in theatre and cinema. But the vegetable seller insisted on finding out about my opera engagements and went on to share his impressions of The Merry Widow, which he had attended a few weeks earlier.” El-Hefny recalls that, for many, this work was the first contact they had with an opera hall. It was a memorable occasion in many lives. The Merry Widow was an important cultural breakthrough since, prior to this production, only a few separate arias were performed in Arabic. After its great success in 1961, the Old Opera House staged yet another work in Arabic, a musical by Ivor Novello: The Dancing Years. Working on a text translated by Abdel Rahman El-Khamissi, once again director Niesner was joined by conductor Strauss; El-Hefny was cast in the leading role. Many other translations of international music gems followed: La Traviata, Rigoletto, The Magic Flute, The Marriage of Figaro etc. The last opera performed in Arabic at the Khedivial Opera House was Gluck’s Orfeo ed Euridice (1970), which included many Egyptian talents. “Orfeo was a sort of artistic statement against the Italian version of this opera, which was performed in Cairo a bit earlier. Okasha believed that we could make a great work to artistically challenge any international production. And we definitely succeeded,” El-Hefny says proudly. Though performing international operas, operettas and musicals in Arabic is an important step towards reaching a wide audiences, El-Hefny favours singing in the work’s original language. “To tell you the truth, I don’t like translated operas. When singing fragments from Verdi’s Aida in Arabic, it was not the same feeling I had singing it in Italian. It was not completely satisfactory. Verdi’s La Traviata is a delight to sing in Italian, something that does not come through in its Arabic translation. And it’s not only the issue of the Arabic language as such. Mozart’s The Marriage of Figaro was written in Italian before it was translated to German. I sung this opera in both languages and the German version does not capture the same wonderful sensitivity. I think that any opera is strongly linked to the language in which it was originally written, as language has its own musicality and plays an important role in the work.” El-Hefny believes that while operas do better in their original language, today’s audiences can benefit from translation screened during performances. El-Hefny adds that it is very important for singers to understand the language in which they are singing. “How else can one can express all the nuances in one’s role?” El-Hefny speaks Arabic and German fluently. She can also communicate well in English and French, and considers that her Italian skills have sufficiently developed throughout decades of working in many Italian operas. “When singing in French, for instance, one has to have enough knowledge of the language to capture its musicality and nuances. The older generation of Egypt’s opera singers could usually manage well in several languages. Knowing different languages is a natural part of life,” El-Hefny states. El-Hefny adds that fragments of the Egyptian production of The Merry Widow were broadcast by Austrian television, a fact that drew international attention to El-Hefny’s voice. 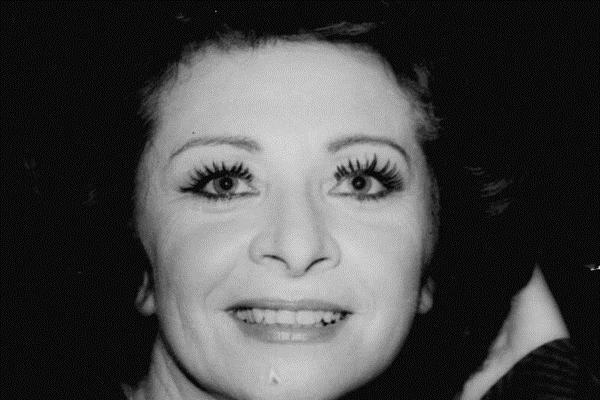 In the following years, spent singing in Egypt as well as in Rome and Berlin, she also performed on stages in Yugoslavia and Czechoslovakia, among other countries. Among roles that El-Hefny considers significant are main roles in La Traviata, The Marriage of Figaro and Rigoletto. El-Hefny also excelled at German lieds. Her grandmother and her mother were of German origin and El-Hefny’s impeccable knowledge of the language allowed her to capture the spirit of the lieds for which she was commended by her German professors. “Lied needs particular qualities in the singer. It’s a very special art form that relies on a word being translated into music. Lied needs the singer to be fully capable of understanding the German language with all of its cultural background. While my career was developing in Europe, I remained committed to the Egyptian stage,” El-Hefny recalls. After 1961, The Merry Widow had to wait many years to reach the stage again. In 1994, Abdel Moneim Kamel directed the operetta with the Cairo Symphony Orchestra conducted by Alexei Lyudmilin and Mustafa Nagui and choreography by Boris Strochekov. “Kamel’s mise-en-scene was influenced by the Italian version of The Merry Widow, topped with his original approach to the work,” El-Hefny clarifies. In 2007, the operetta directed by Kamel was performed again, this time with the Cairo Opera Orchestra conducted by Nader Abbassi and Erminia Kamel as choreographer. The performances of The Merry Widow that took place between 20 and 25 March this year were directed by Abdalla Saad, and the Cairo Opera Orchestra was conducted by Hisham Gabr.